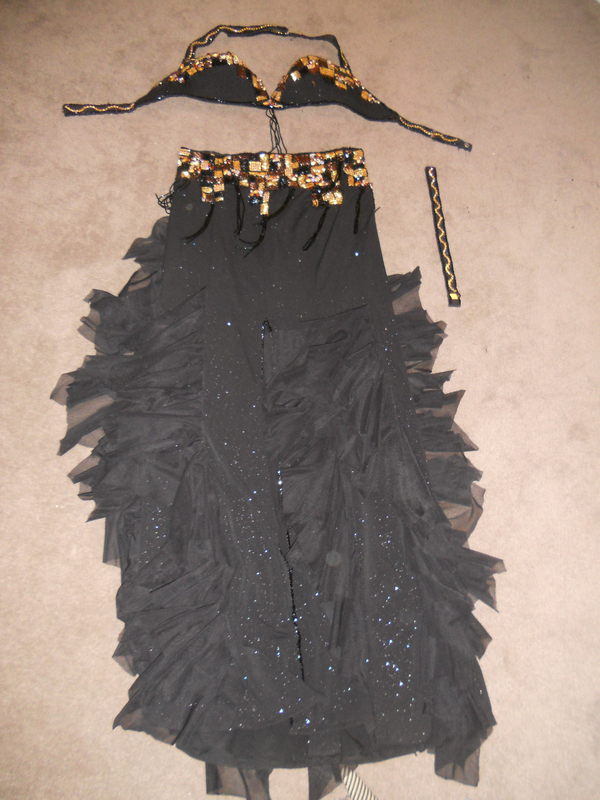 Sassy Ruffled Black Egyptian Bellydance – SOLD! This costume consists of a bra, skirt, and one arm band. It is reminiscent of an Eman design. 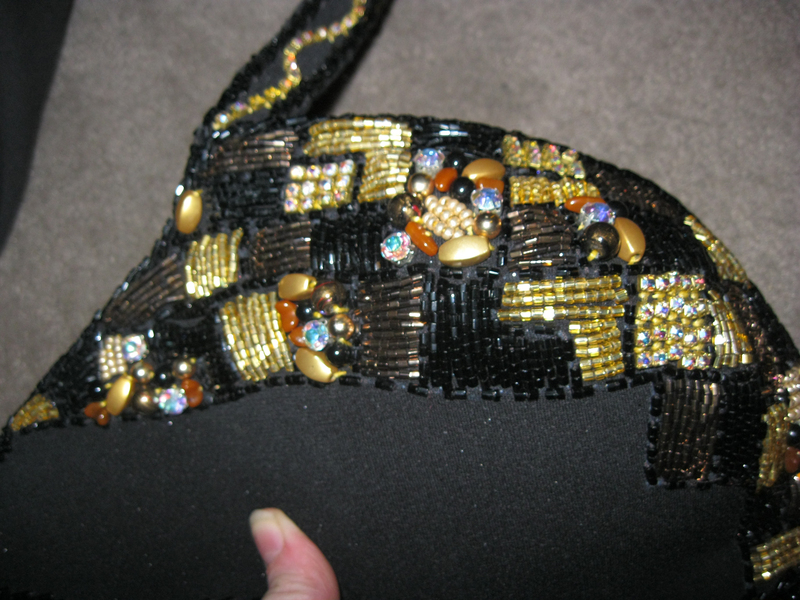 It is of sparkley black lycra base material with mosaic beadwork in black gold and silver. It is incredibly elegant and did I mention that the skirt has ruffles?!?! It twirls beautifully! 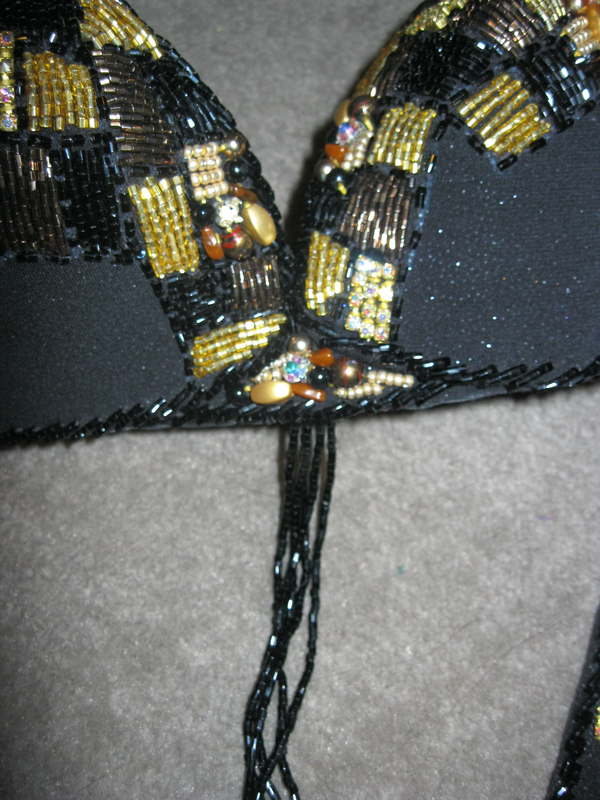 The skirt also has a slight flare at the bottom for better turns and one leg slit to mid thigh at the center front. The bra has a 33″ underbust and the inside cup measurements are 6″v x 7″ h x 8″ d.
The skirt is 28″ unstretched at the top and stretches to around 33-34″. 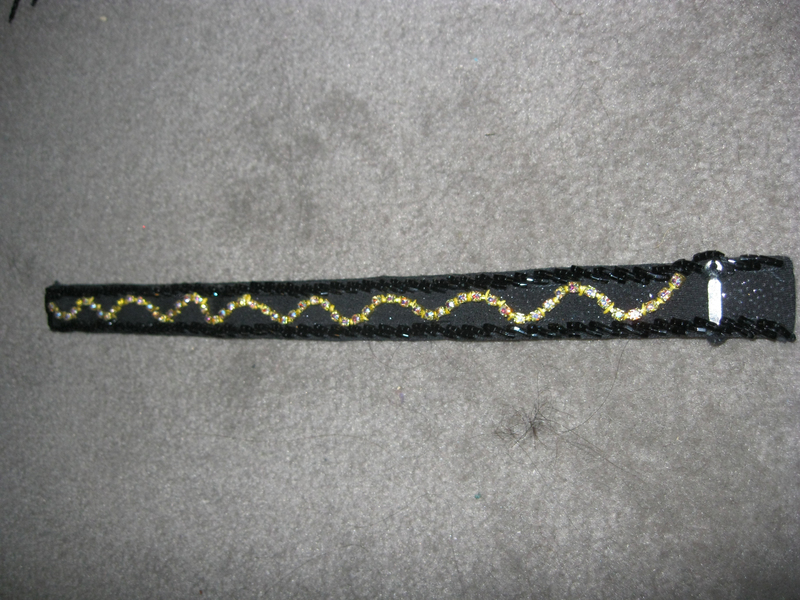 The skirt is 39″ long laying flat. All sales final! Thanks for looking! Previous PostPrevious Buy Tickets to the Belly-Off & Gala Show!